Lockets are such a special piece of jewelry, one that is often passed down thru the generations. Lockets are great gifts for new moms, graduation, mothers day, valentines, birthdays, retirement, and Christmas. Really any special lifetime event or memory. If this design isn't for you be sure to search thru the many, many 14k yellow gold or white gold lockets. Lockets are a special piece of jewelry, one that is often passed down through generations. 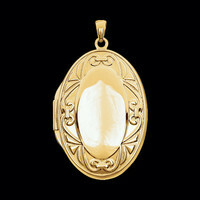 A great gifts for new moms, graduation, Mothers Day, birthdays, retirement, and Christmas. Really any lifetime event or memory. 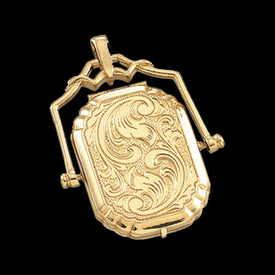 If this design isn't for you be sure to search thru the many 14k yellow gold or white gold lockets. 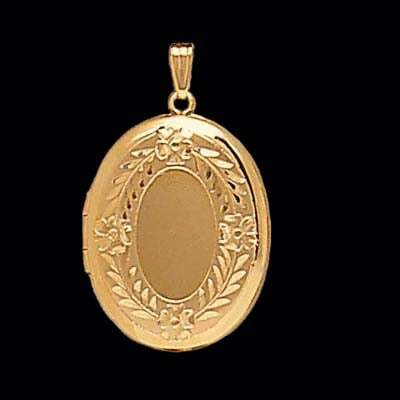 Engraving possible on this locket. 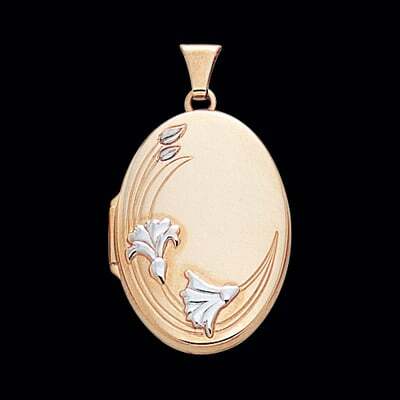 14k Gold Oval floral border design locket. Locket measures 30mm in length (25mm - 1 inch) by 23mm across. Will hold 2 photos. 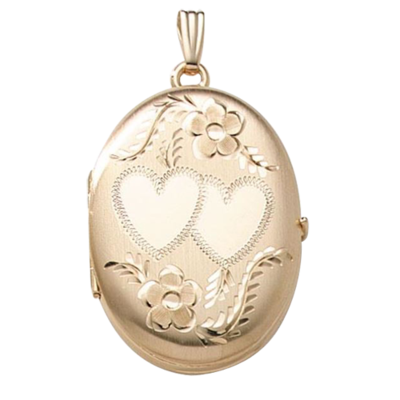 Personalize this locket with your special engraved sentiment. View our fonts then type your font selection and your sentiment to be engraved in the boxes provided. (pops up after you select text engraving) This locket weighs 3.75grams. 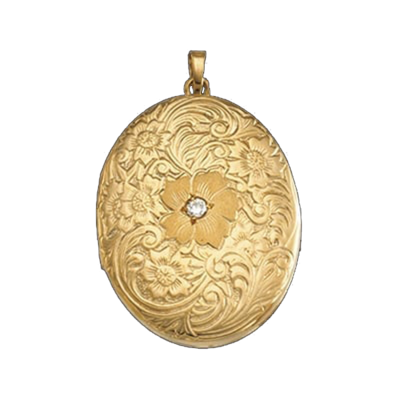 Before there were smartphone camera rolls, galleries, or even photo albums, there were lockets. We often see this kind of jewelry worn by our elders: our grandmas, grandpas, and even our aunts and we often wonder what this small piece of jewelry is all about. Well, you’ll be surprised that it’s more than just an accessory. 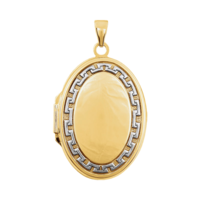 Large golden lockets make subtle accents to any outfit. 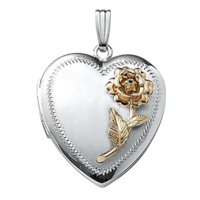 Gracious Rose has a vast collection that offers a bold yet understated elegance. Our oversized pieces makes perfect accessories to any plain shirt or dress. You can practically keep photos of loved ones anywhere and anytime. 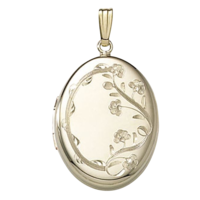 Choose from our vast collection of plain, embossed and bordered lockets. 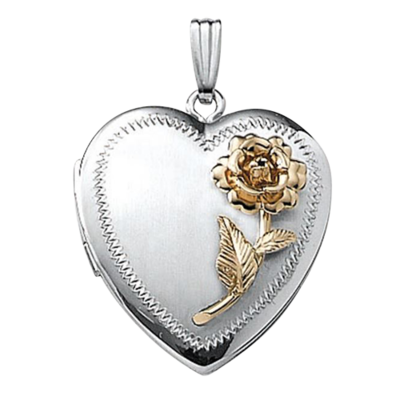 Gracious Rose also provides yellow gold, white gold and rose gold options to clients. We also offer engraving services to add an even more personal touch to your locket purchase. As there are different shapes and sizes of lockets various metals and alloys are present too. One common material is the silver alloy, which originated from continental Europe in the 12th century. Today, sterling silver alloy is used because pure silver is too soft and can’t produce sturdy lockets. When combined with other metals like copper, the synthesized silver becomes a tougher material that can stand up to wear and tear. While pure silver can be combined with many different types of metals, sterling silver can only be achieved by combining pure silver with copper. 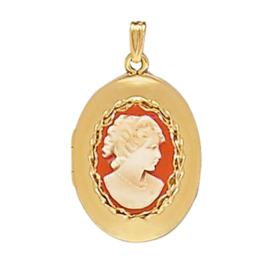 Sterling silver jewelry can be composed using different amounts of copper, but the standard is .925 stamp, meaning the jewelry product possess 92.5 percent silver and 7.5 percent copper. For timeless elegance and beauty, gold lockets are better choices. 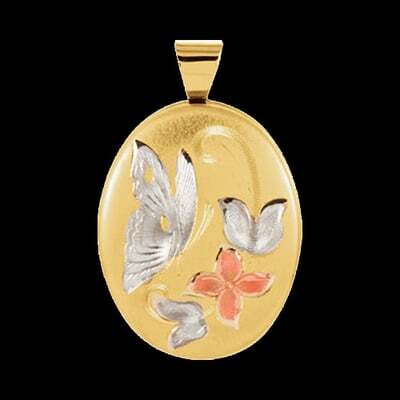 Yellow Gold—the most common color and is usually alloyed with silver and copper. Yellow and white gold are similar in strength and malleability, making them perfect for daily wear. 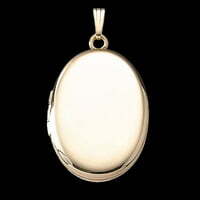 White Gold—alloyed with nickel, copper, and zinc--and while it looks similar to platinum, it has vastly different properties. Rose-colored Gold—alloyed with copper and is often used to accent white or yellow gold. 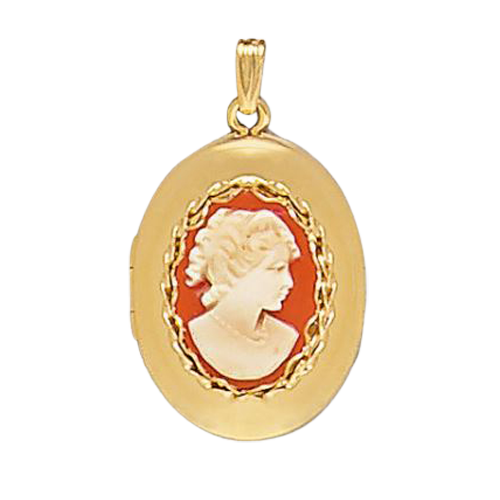 The saturation of color varies from piece to piece and according to gold content. 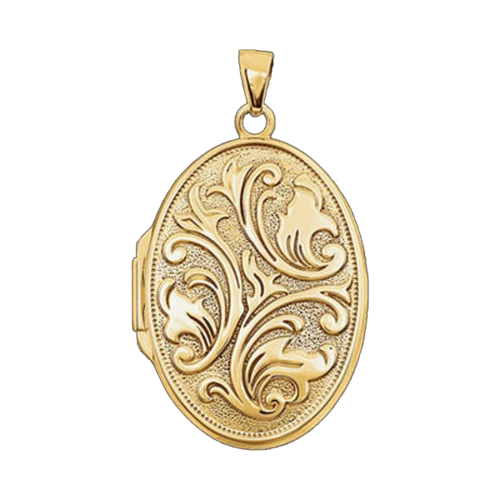 Avoid contact with harsh chemicals and do not wear your gold locket during rough work because all gold jewelry is prone to scratching. To clean gold jewelry, use warm water, mild soap, and a soft bristled brush. 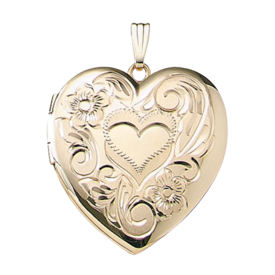 Lockets are popular tokens of love and affection that preserves and protects the memories of our loved ones inside. 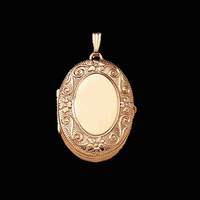 Whether you are searching for a traditional or a more modern style, choose Gracious Rose quality. 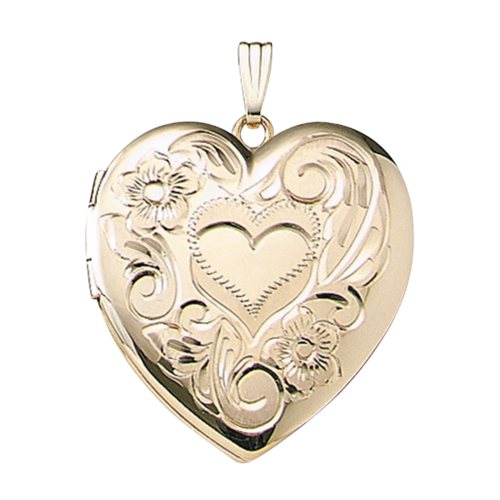 With over 3,500 exquisite designs to choose from, you can find the locket that will best suit you and your loved one. Give a gift today!